Since I haven't done any post about my Make-Up Routine. I thought, it's definitely time to share a bit more with you. 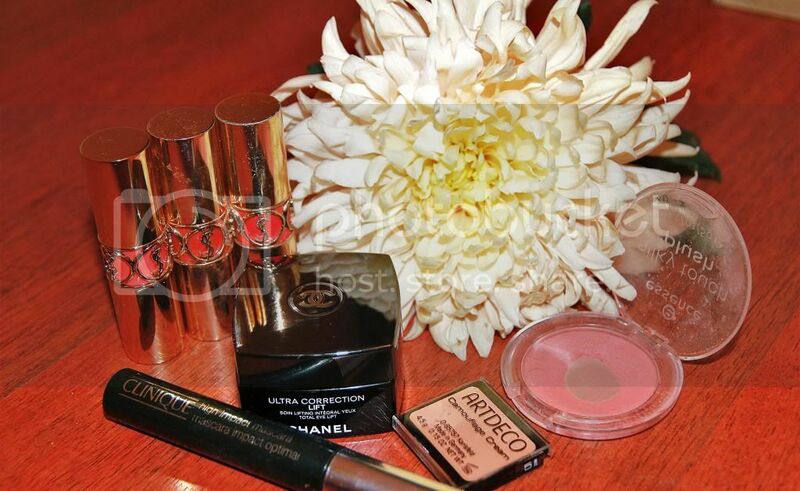 I am using these make-up products every single day and I will exactly let you know why...! 1. CHANEL Ultra Correction Eye Lift which is truly NOT only for our moms'. It refreshes the skin under your eyes and makes it look like after a spa which is PERFECT! 2. ARTDECO Camouflage Cream which is the best concealer I've ever put on my skin. I am using it since more than five years. It's simply magic. 3. ESSENCE Silky Touch Blush to give my face a bit of freshness. 4. CLINIQUE High Impact Mascara which makes the most beautiful lashes. 5. 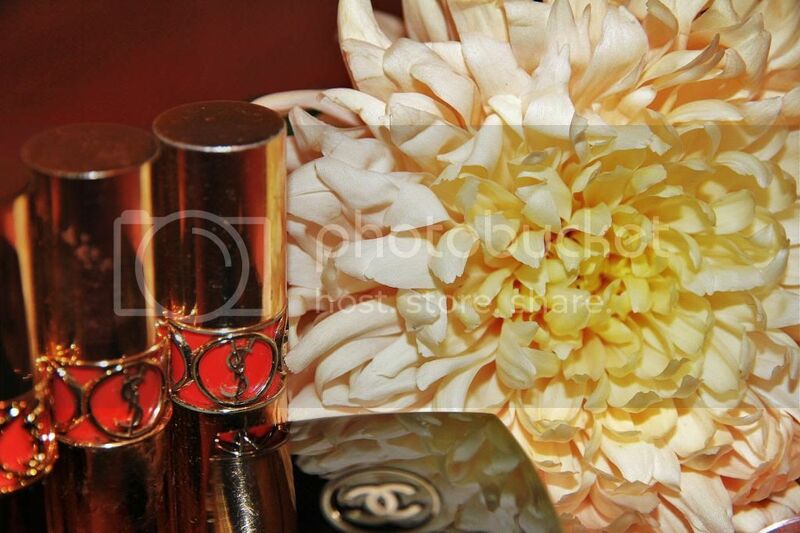 YVES SAINT LAURENT - YSL Lipstick #12 #13 #14 which is my main essential. your eyes or lips. I am one hundred percent going for the lips. Hands down!